One Cheesman Place is one Denver's most luxurious high rises. Overlooking Cheesman Park, the building was designed to capture the abundant Colorado sunshine and park views. Cheesman Park also provides a bit of peace, serenity and green space within the city. Many of the residences have been renovated in recent years to reflect a more modern elegance. Large balconies provide park, city and mountain views. Nine foot glass windows add to the allure of these homes. Fitness center, outdoor pool, party room and secured parking are just some of the amenities you will find. 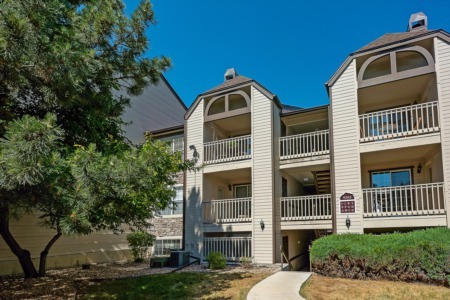 The building is close to Denver Botanic Gardens to enjoy even more outdoor space.